Charles Wesley (December 18, 1707 to March 29, 1788), a Church of England clergyman, was a British leader of the Methodist movement along with his brother, John. 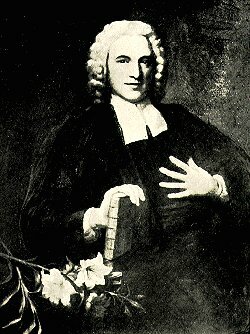 He is remembered chiefly for the thousands of hymns which he wrote, many of which are still in widespread use today, like “O For a Thousand Tongues to Sing.” Among one of the most republished hymn writers of the 18th and 19th centuries, Wesley’s work helped to make hymn singing a prominent feature of English-speaking Protestant worship. The Charles Wesley Society has compiled a list of helpful links to other organizations that are active in Charles Wesley-related scholarship. For a complete list of those resources please visit our Resources page.